With FriarFest behind us and pitchers/catchers reported, let's take a look at the Padres off-season acquisitions, working backwards. Today, Andrew Cashner. Warning: this post may end up more about Jed Hoyer than Cashner. 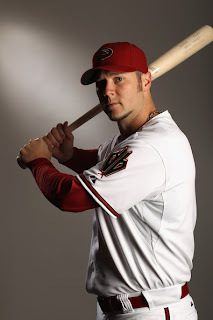 On January 6th the Padres sent Anthony Rizzo and RHP Zach Cates to Chicago for RHP Andrew Cashner and OF Kyung-Min Na. Cashner is a former first-round draft pick of the Cubs (19th overall in 2008), so he has talent. However, he lost the 2011 season after straining the rotator cuff in his throwing arm in April of last year. He apparently successfully rehabilitated it with rest and physical therapy, as he threw 10 2/3 innings in September. Cashner hurt his shoulder during a start, which explains why the Padres think he'll eventually be a starter. It is his only major-league start to date. Cashner has value but at this point in his career it is uncertain if that will be as a starter or reliever. He's also a big risk for the Padres, in that the club acquired a recently-injured pitcher. Yes he passed his physical, but that is no guarantee he won't hurt that arm during spring training. Heck Adam Wainwright passed his physical prior to 2011 spring training and then missed the entire year to Tommy John surgery. So much for the Anthony Rizzo Era. To get Cashner the Padres gave up Anthony Rizzo. 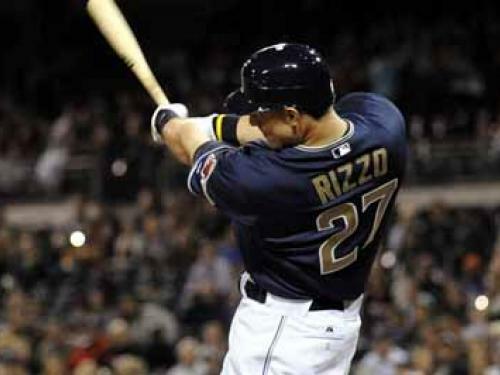 Rizzo, evaluated as the third best prospect in the Boston Red Sox organization (and their best power prospect) prior to the 2010 season, came to San Diego in the Adrian Gonzalez trade. Fairly or unfairly, he was seen as the replacement for Gonzalez, and was expected to produce once brought up to the major league level. That he destroyed AAA pitching at Tucson to the tune of a .331/.404/.652 line only added to the hype and expectation. However, once in the majors he was exposed as a left-handed hitter with a long swing who couldn't handle fastballs under his hands. He might eventually be able to fix that - make his swing more compact and learn to turn on an inside fastball. But that was not going to help him in Petco. The Padres (and their fans) soon learned, to their dismay, that Anthony Rizzo was a completely different hitter from Adrian Gonzalez. Gonzo's strength revolved around his opposite-field power. He posted a .808 OPS at Petco largely because of his ability to hit the ball out to left. Rizzo is a dead-pull left-handed power hitter playing in a ballpark that is death to dead-pull left-handed power hitters. By all accounts, Rizzo is a mentally tough, courageous, great character guy who happens to play baseball. He's beaten cancer at the ripe old age of 22. Jed Hoyer knew him from his time with the Red Sox and obviously thinks very highly of him. But even great character guys are susceptible to the same doubts that plague you and I. Watching balls he crushed get knocked down in straight-away right, or go into the 411-foot triangle in RC before being caught, can get to the most mentally tough individual. Ask Ryan Ludwick - and he was hitting to left. Which brings us to Hoyer. Jed relieved Kevin Towers following the 2009 season and was obviously charged with rebuilding the Padres minor league system. He, along with Jason McLeod, did just that; in fact, San Diego's farm was recently ranked as the best in MLB by ESPN's Keith Law. But I think it's safe to say they made a mistake when they acquired Anthony Rizzo for the Padres. His power did not play well in downtown San Diego. Since that blockbuster trade prior to the 2011 season, Hoyer (and McLeod) have moved on to Chicago's North Side, where Former Red Sox GM Theo Epstein had also relocated. They reunited with Rizzo via this trade. At Wrigley Rizzo's power should play very well, whether the wind is blowing out or not. The Padres also got a very pleasant surprise in Jesus Guzman's play last season, and traded ace Mat Latos for Yonder Alonso (among others), whom we will talk about in a future post. Not discussed above, but certainly factoring in the decision to ship Rizzo out of town, are the number of players in the Padre farm system who can play first at the major league level. We've mentioned Guzman and Alonso, but San Diego also has Kyle Blanks who can play the bag. First base is one position where the Padres have a lot of options and can't give each guy lots of at-bats. They're also not going to carry 4 guys on the ML bench who can play first - that's just silly. So the Padres acquired a recently injured potential starting pitcher for the best prospect in their farm system. This trade may turn out to be a wash, but today it looks pretty lopsided in favor of the Cubs. With FanFriarFest behind us and pitchers/catchers reporting in less than a week, let's take a look at the Padres off-season acquisitions, working backwards. On 2 Feb the Padres signed Micah Owings to a one-year deal for a million dollars. Owings is currently on the 40-man roster. Owings started 64 games his first three years in the league, but the last two years has pitched almost exclusively out of the bullpen. He has pitched better as a reliever, holding hitters to a .220/.338/.369 line and a .262 BABIP (compared to .264/.341/.442, .282 as a starter). He is relatively tough against right-handed hitters (.712 OPS, 2.31 K/BB ratio), but lefties eat him up (.830 OPS, 1.20 K/BB ratio). Owings throws a cutter, and it's a weapon. Last season it had the highest linear weight of any pitch he threw (3.3). His slider (0.8) was the only other pitch with a positive value. He gets clubbed when he throws a straight fastball, and he knows it, which is why he only throws it ~3% of the time. If Owings makes the team I would envision him as a guy who eats innings when the Padres trail or lead by 3 or more runs, and facing a part of the order without lefties or switch hitters. There you go. Why I love statistics, and why small sample sizes will kill you, in one succinct 6-man list. That list also partially explains why the Padres won't give up on Venable. Lack of at-bats aside (Owings has 203 in his major league career), Micah is a pinch-hitting option late in games based on the big stick he can swing. Will Owings break camp with the Padres? That remains to be seen. Only Street, Gregerson, Thatcher, and Cashner are assured slots in the bullpen on Opening Day. Frieri, Spence, and Bass have a leg up but I'm guessing they'll be fighting for a roster spot. If Owings can get hitters out consistently he'll make the club, and his bat can be a wild card for Bud Black to play during games. With FanFest behind us and pitchers/catchers reporting in less than a week, let's take a look at the Padres off-season acquisitions, starting with the most recent. In 2011, the 37-year old right hander went 11-8 with a 4.78 ERA over 28 games (27 starts) for Triple-A Omaha in the Kansas City Royals organization. meaning Suppan hasn't thrown a pitch to major league hitters since throwing six shutout innings against the Colorado Rockies on October 3, 2010. It also means Suppan couldn't crack a lousy Royals rotation that gave gave Kyle Davies 13 starts - the same Kyle Davies that owns the worst quality start percentage by any pitcher in the history of the game. So why bring him to San Diego? Perhaps two reasons. One - he is another character guy in the Mark Kotsay mold. Suppan is a sub-500 career pitcher but he has had a successful career by most standards. Should he make the big club it will be his 17th season in the majors. 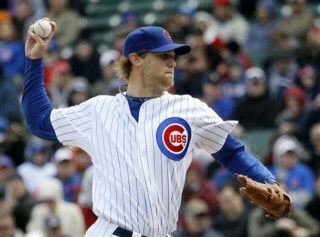 He has pitched in 4 post-seasons including 2 World Series; he was the MVP of the 2006 NLCS while with St Louis. He's seen it all and would be a good sounding board for the young pitchers on this roster. The second reason is his ability to spot start. With Wade LeBlanc gone the Padres don't have anyone with major league experience in 'hot standby' down at AAA. Should one of their starters get hurt - and with 3/5 of those guys coming back from recent surgery, that's entirely possible - Suppan could step in and start for them. This becomes especially important if you believe Anthony Bass is not ready to start at the major league level; there would be no need to yank him out of the bullpen to start if you have a guy like Suppan available. Suppan is a local guy (graduate of Crespi HS in Encino CA) and I believe he still makes his home in SoCal. I know he has a restaurant in Woodland Hills. He knows his best years are behind him and this is a chance to keep his hand in the game while playing closer to home than he has been able to over the last decade - even if he ends up spending a lot of time in Tucson. This is a low-risk, potential reward kind of signing. Good on the Padres for taking a no-obligation risk on Jeff Suppan. 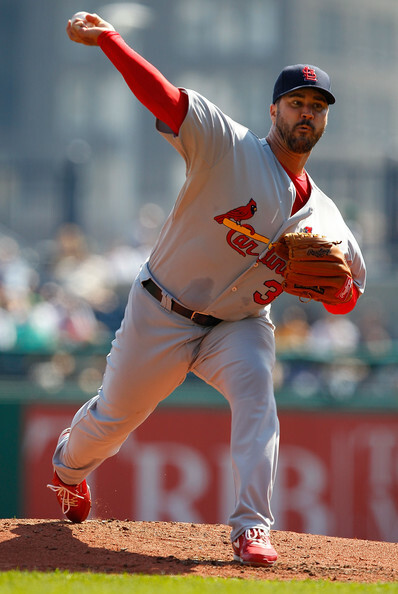 Last week rumors circulated the St Louis Cardinals were looking to ship starter/reliever Kyle McClellan out of town. Baltimore, Arizona, and San Diego were mentioned as potential destinations. The rumors prompted this post on the Cardinal/Royal blog I-70 baseball. You probably missed it. I didn't because I wrote it. After it published I got some comments, which is unusual. The comments attacked the premise, which is not unusual for comments on my writing. Apparently I'm controversial. Whatever. I answered in brief in the comments because let's face it, who wants to read a diatribe in the comments section? Nobody. However there was more to say, and since I've suddenly got a few minutes I'll say them here. Why would the Padres show interest in McClellan? Two reasons I can think of. 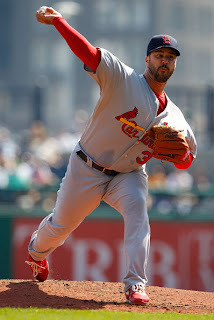 First, although their starting rotation is set for 2012 2/5 of it is coming off a season-ending injury. Moseley's trick shoulder is his non-throwing shoulder but that injury still cost him the second half of last season, and Richard is coming off arm surgery. Adding McClellan to the bullpen would give the club another guy, along with Anthony Bass, who could spot start if either Moseley's or Richard's rehab suffers a setback. Second, the team lost Bell, Adams, and Qualls from last year's bullpen, meaning they will turn over a lot of innings to inexperienced guys. Getting Huston Street solidifies the back of the pen and does not force the team to place Brad Brach in the closer's role too early or Luke Gregerson in a role he's not shown aptitude for. The Padres still need some guys; getting McClellan, a proven eighth inning guy, would push Gregerson back to the seventh where he excels. On the Cardinal side it is hard to see who in the Padres system they would be interested in. The team has stated they don't want to take on salary in any McClellan deal. What does San Diego have to offer? - Padres have a surplus of OF. So does St Louis. - Padres have a surplus of 1B. Even though St Louis just lost a first baseman of some note they are set at the position for the future. - St Louis does not have a need at third, their rotation is high-priced and set, and if they are shopping McClellan they clearly suffer from a surplus of bullpen arms. - The Cardinals are thin at second and short, but so are the Padres so no trade involving those positions is likely. What does that leave? Catcher. Which was the subject of my article. Now it should be noted, again, the I-70 article was written from the Cardinal fan's perspective. The Padres would be crazy to trade either Hedges or Grandal straight-up for McClellan. That would be on par with Ray Lankford for Woody Williams.